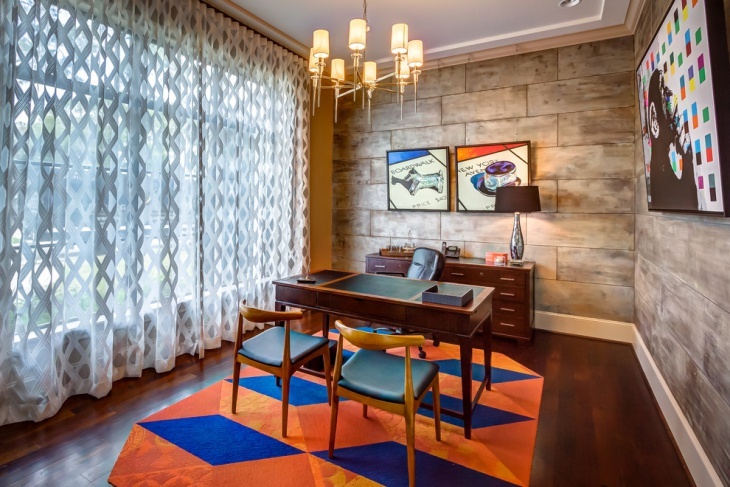 Working in your home office can be an interesting experience. 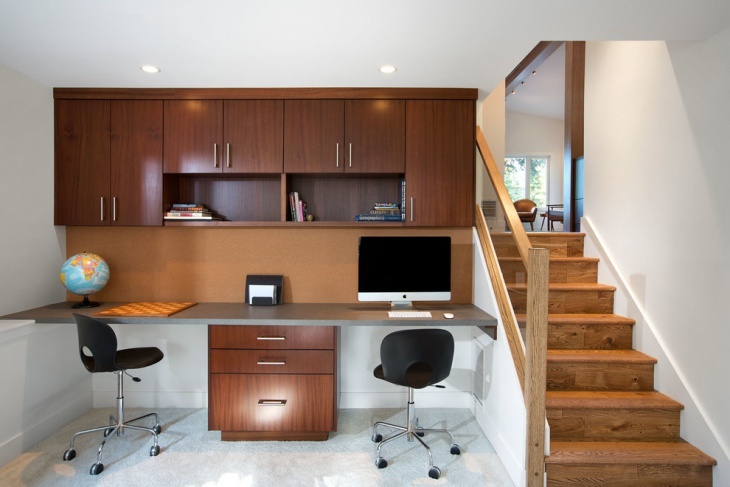 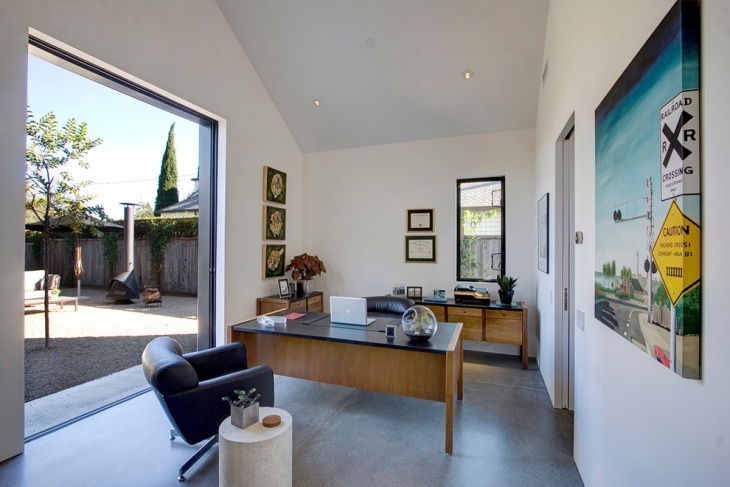 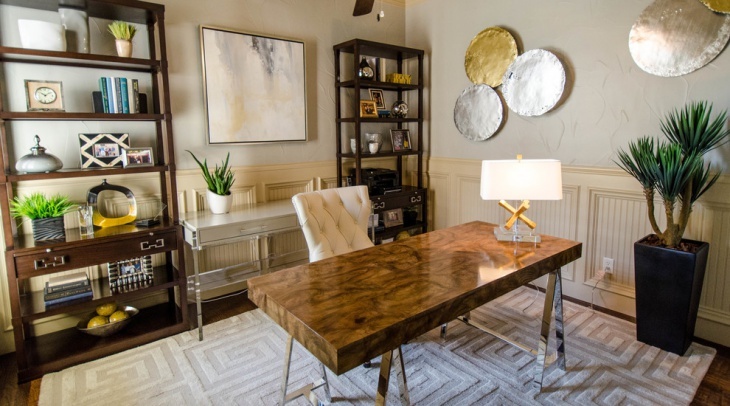 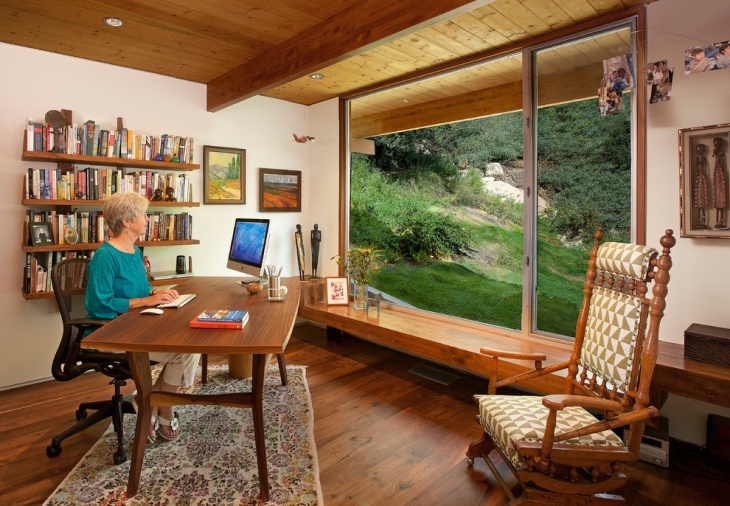 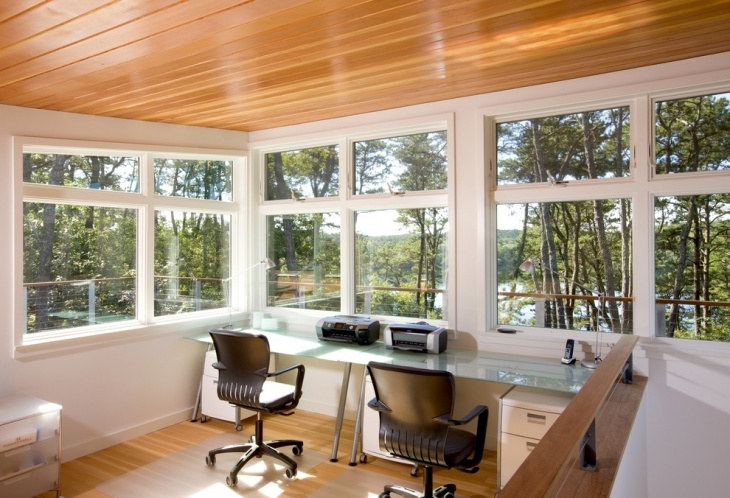 Choosing the apt home office design is an influential factor. 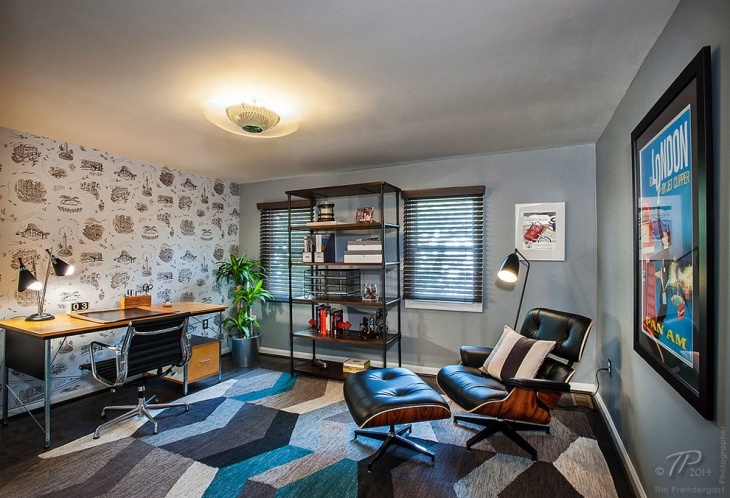 If you’re the kind that prefers a design type which is a mix of a vintage and modern, we’d suggest you choose a mid-century modern. 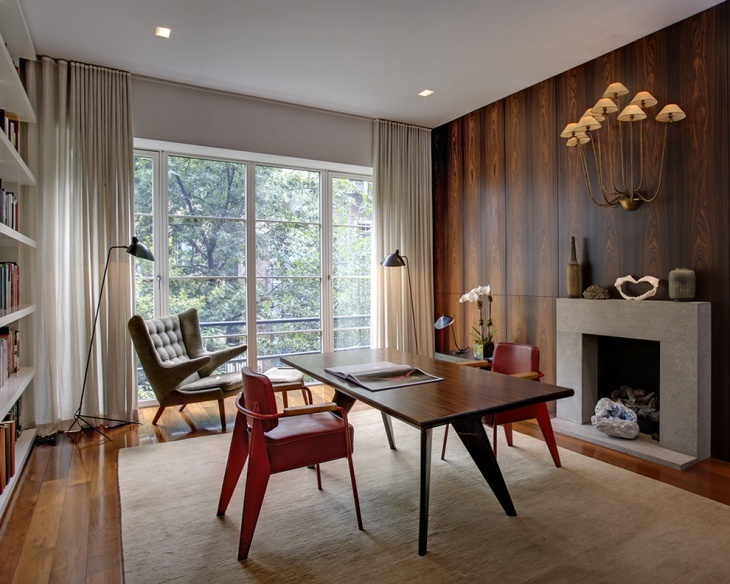 Carrying inspirations from the post-war era of the 50’s mid-century modern design seamlessly marries simplicity and beauty of natural materials and shapes.Ideally warmer colors of wood works to get the mid-century effect, make sure to contrast it with cool colors.When choosing the wood, don’t be afraid to mix and match. 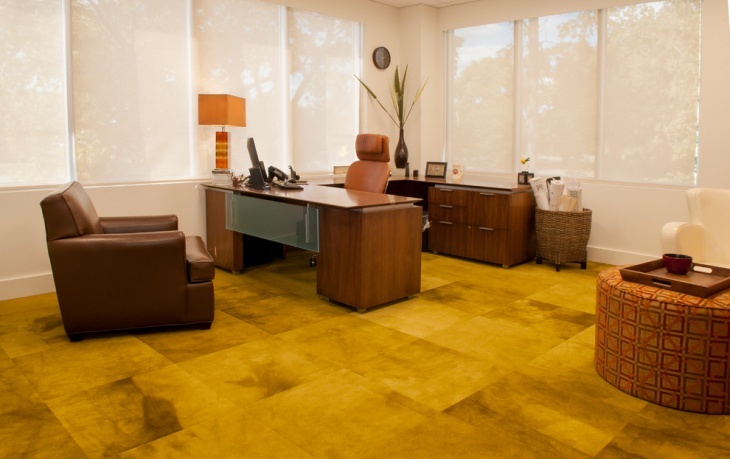 Combining different shades will provide a relaxed vibe. 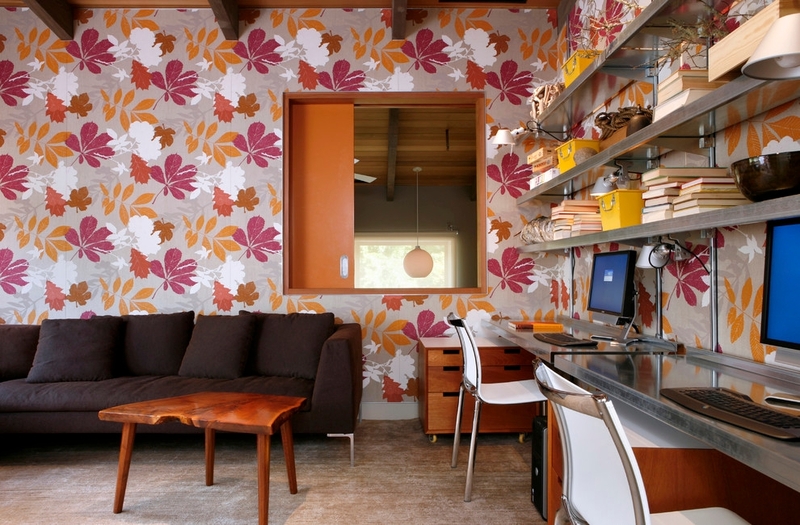 Keep the main pieces of furniture in one mid-tone. 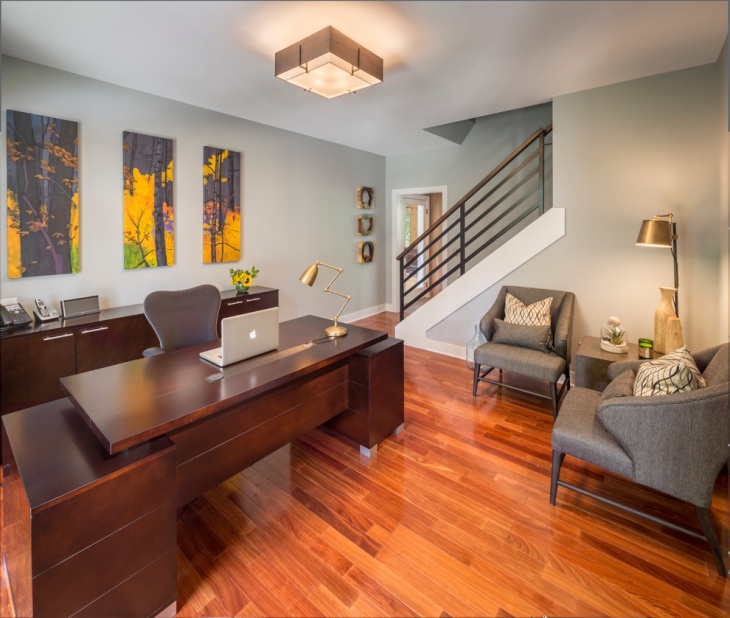 Accessorize the same using light to dark shades to accentuate the overall look of the home office. 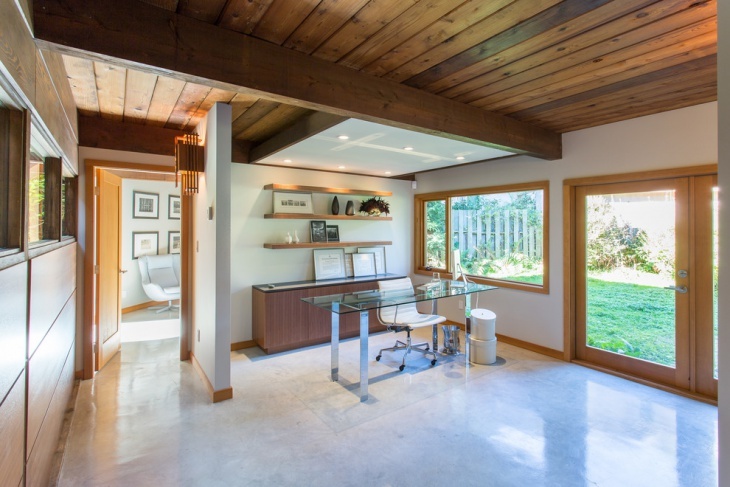 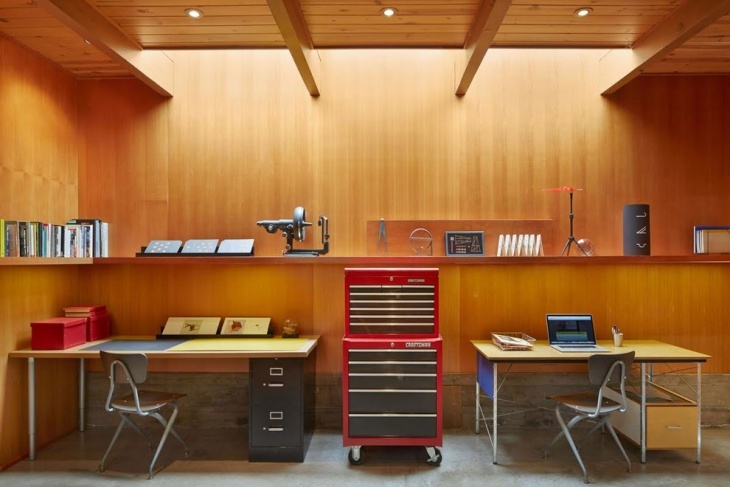 Another must-do: try and place your office desk in the centre of the home office. 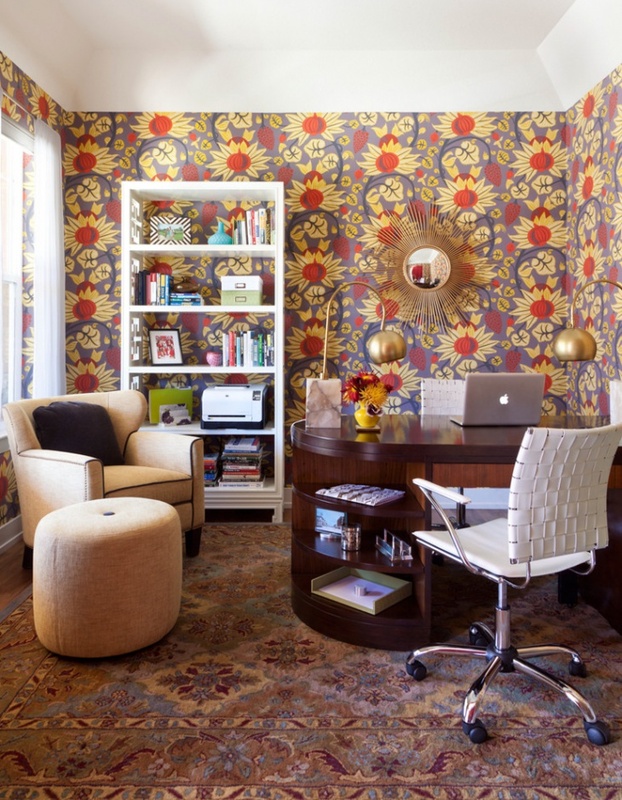 Give it further definition by laying out a rug – preferably geometric patterned. 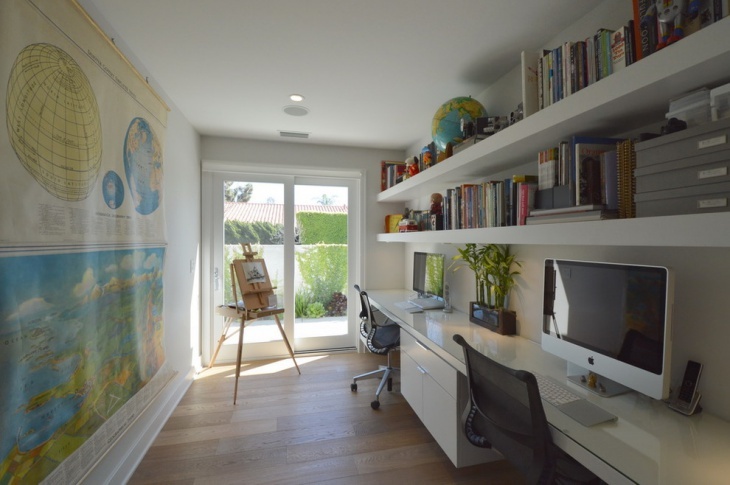 You could opt for a desk that has built-in drawers and shelves, as it lends more style and practicality. 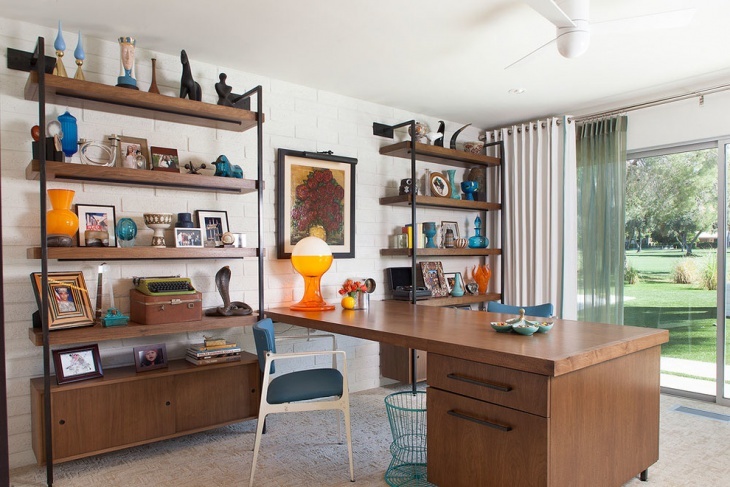 Choose a shelf unit which has round edges and clean lines – as this is typical of the 1950s’ era. 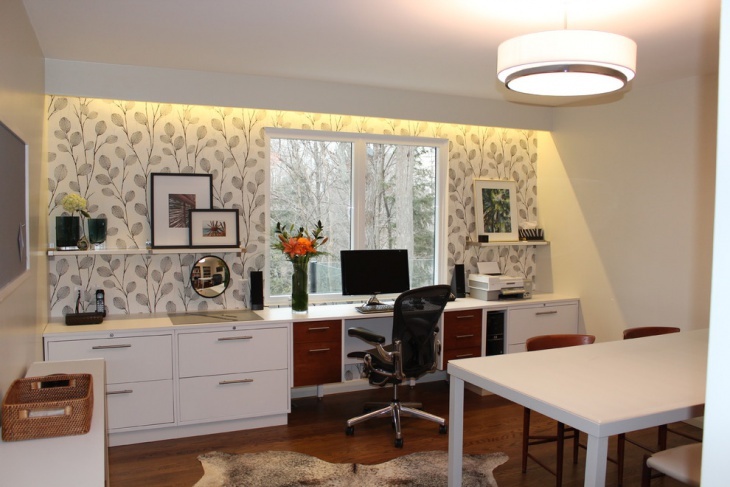 A pendant light hanging low over the desk is another must-do.